CLOSEOUTS. 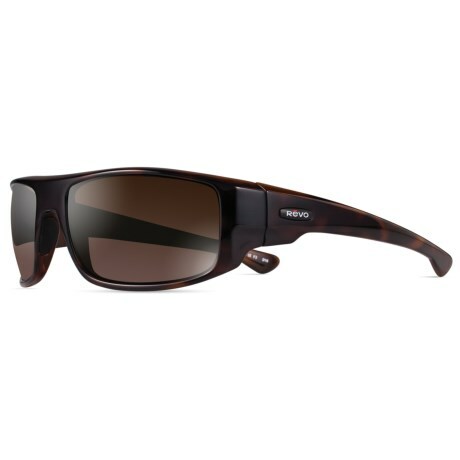 These sporty Revo Dash sunglasses deliver crystal-clear, glare-free viewing with total UVA and UVB protection for your eyes. Available Colors: TORTOISE/TERRA, MATTE BLACK/GRAPHITE, CRYSTAL BLUE/BLUE WATER.